If the past is any indication about what happens during a major recession one of the first things to go among consumers is discretionary spending. The Saturday night restaurant ritual, the new RV or boat, the vacation home or the 7-day cruise all get placed on the back burner. This is extremely apparent in the RV Industry right now. RV manufacturers are going out of business, RV dealers are closing their doors, and as the news media continues to point out one of the highest unemployment rates for a county is Elkhart County in northern Indiana, the hub of RV manufacturing. The housing industry meltdown, subprime lending, collapse of the auto industry and corporate greed all contributed to the current state of our economy resulting in lower consumer confidence and spending. So where does that leave the future of the RV industry? This industry has endured many hardships in the past; recessions, high interest rates for consumer lending and dealer floor plan payments, the high cost of fuel and it has always came back stronger than it was before. To come back stronger than it was before this time will require innovation, change and forward thinking on the part of its leaders in all sectors of the industry. 5) The weak will not survive. Whether it is a manufacturer, dealer, campground or aftermarket supplier only the strong who are committed, determined and willing to change with the times will survive this current downturn. It will require downsizing operations, inventory, and making good solid business decisions. Back to the basics! In the long run this will make the remaining companies better, stronger and more adaptable to change. 4) RV manufacturers will need to improve on the quality of RV’s. As a society Americans are more and more demanding that the products they purchase are of the highest quality. This is especially true of major purchases. Modern technology focuses on better quality products, from cell phones and computers to automobiles and RV’s. Some RV manufacturers, not all, need to address the issue of higher quality in its product offering to remain competitive in the future RV market. The current economic crisis will help weed some of the poor quality products out. This would bring a question to mind, if it ever happened should we as consumers allow, or should I say accept, RV’s made in China into the US marketplace? 3) Along with better quality built in the product comes better warranty and better customer service. I have experienced RV manufacturers with outstanding warranty programs and others who barely stand behind the product it builds. 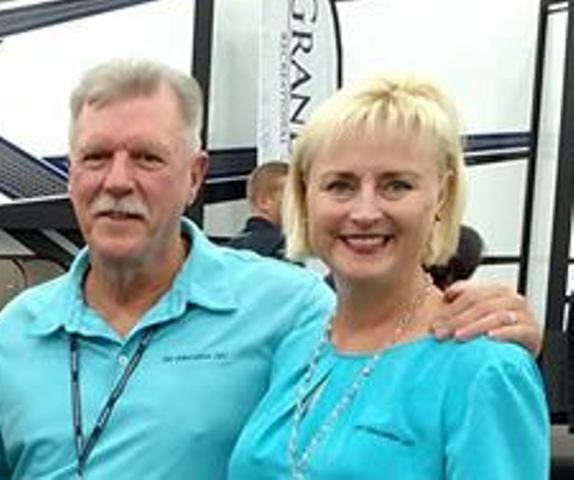 The same holds true with customer service, but a large part of customer service is dependent upon the RV dealer selling the manufacturers product. The days of only servicing a customer’s unit if they bought it from me mentality are over. If RV dealers want to stay in the future RV marketplace they better show it in how they treat and service the customers who walk through the door. Think about it, if you had a bad customer service experience in the past do you return to that company to do business in the future? 2) Borrowing money as we know it will probably never be the same again, and that is a good thing. Banks that loan money need to be more responsible. I won’t get into my take on us, the taxpayers, bailing some of these institutions and people out. Loaning more than a property is worth, loaning to consumers you know cannot afford to repay the loan, overextending borrowers and allowing consumers to be so upside down in an auto or RV loan are all poor business practices. You can see where it got us now. A reputable RV dealer builds its business on repeat business. You sell a customer their first RV, say a pop up, treat them fairly, provide good customer service and they will return to that dealership when it is time to upgrade. 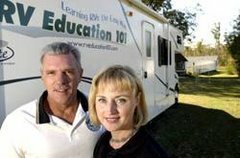 The average RVer will own four or more RV’s in their lifetime. A dealership cannot stay in business or remain competitive if the consumer finances way more than the RV is worth and cannot sell or trade it in the future. Criteria for lending money has already tightened and will stay that way in the foreseeable future. RV dealers who want to get their fair share of the market will need to be more responsible when it comes to making sure consumers will in fact be future repeat customers. 1) Whether you like it or not everything is going green. I don’t know how anybody cannot realize this, but RV manufacturers especially need to take heed. I grew up during an era of muscle cars; where horse power and speed were the only things that were important. I still have that old school point of view, but when it comes to the RV industry of the future, bigger is not going to be better. RV manufacturers need to downsize! Smaller, lighter and more aerodynamic travel trailers and 5th wheels will be in demand. Not only for better fuel efficiency but quite possibly because there won’t be any vehicles manufactured that are capable of towing heavier models in the future. Motorized RV’s will be smaller in size with more fuel efficient power plants capable of burning alternative fuels or running off renewable energy. The focus will shift from models with 5 slide outs to streamlined models capable of 15 mpg or more. My question to you is, after owning a larger RV with a slide out or multiple slides, whether a trailer or a motorhome, could you see yourself downsizing RV’s in the future? The 2008 National RV Trade Show in Louisville, Ky. rolled out some promising RV products for the future. This lets you know that there are innovative forward thinkers in this industry, poised to come back strong when the economy rebounds. The RV industry may be down but never count it out. As difficult as the current conditions are it is quite possible that that will be a main factor in this industry being stronger in the future. So it is my thought that with strong companies, improved quality, better customer service, reputable lending and downsized RV’s the future outlook for the RV industry will be successful and strong.